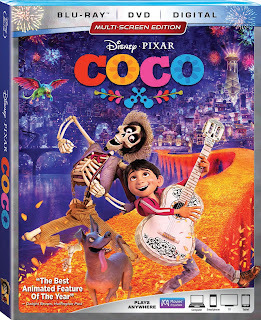 Celebrate one of the best reviewed films of the year and Golden Globe Awards® winner for Best Animated Feature when Coco arrives Digitally in HD and 4K Ultra HD™ as well as Movies Anywhere on February 13, and on 4K Ultra HD,™ Blu-ray,™ DVD and On-Demand on February 27. With extensive bonus materials spanning from deleted scenes to story research in Mexico to designing the world of the Land of the Dead, the whole family will find hours of content to enjoy! In honor of this movie release, why not have a Coco themed party! First why not make some skull garland. 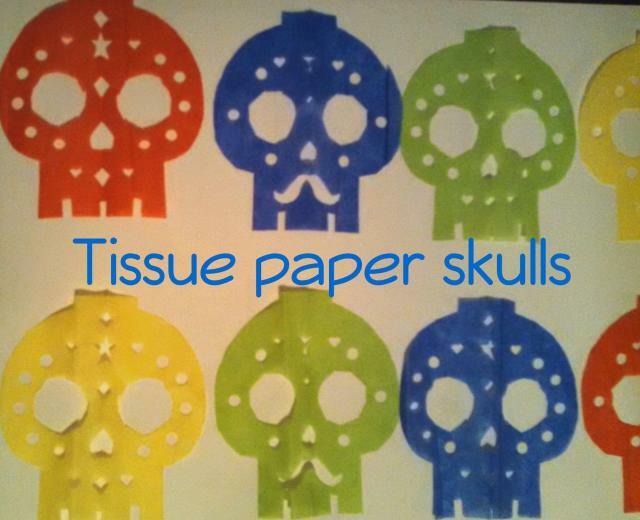 I took colored tissue paper (four sheets at a time) and placed a skull template on top of it. Then I did another four skulls. 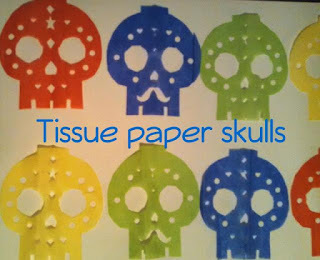 Next up, you take a long piece of masking tape, I placed the top of each skull on the edge, once they all were in place, just fold over the tape. 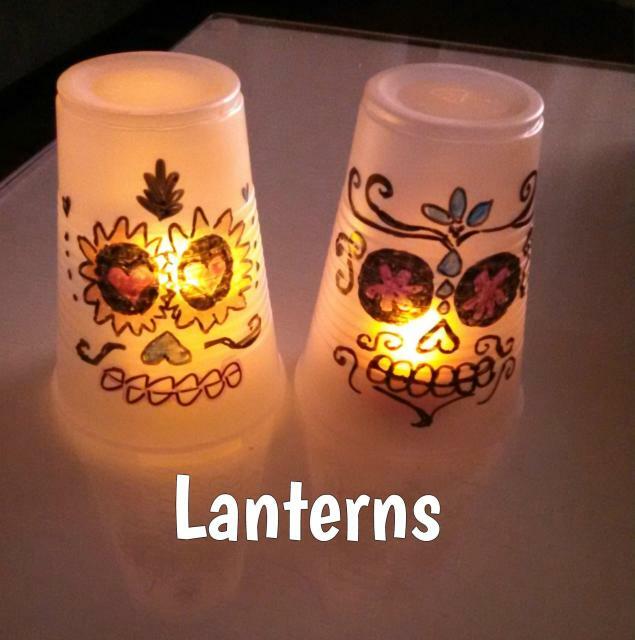 A fun and easy decoration for the table is Coco themed lanterns. I took plastic cups and busted out the permanent markers and got creative. You really can't go wrong, just make a fun designed skull. Once it is done, place a battery operated tea light under it and instant candle! Craft idea! 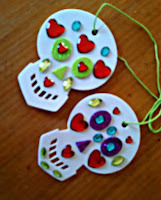 I used a clearance set of foam skull necklaces I had left over from Halloween. I picked up bejeweled stickers for about $1 each at a couple different stores. The kit included string and foam stickers for eyes and nose. The kids had a blast making their own skull necklaces. I am thankful the bejeweled stickers were only a $1 each, as it seemed my floor got jeweled too! I was surprised at how well they turned out and the creativity each child showed! 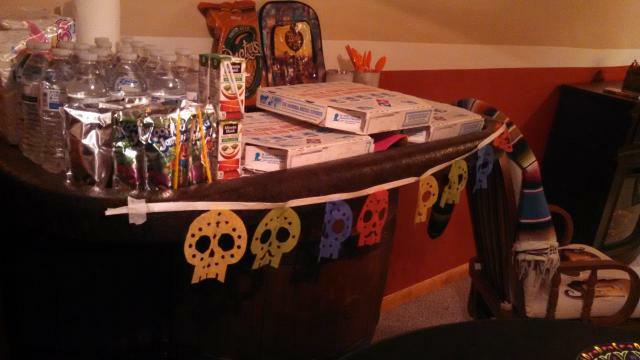 Other must haves for a great party is themed decorations! 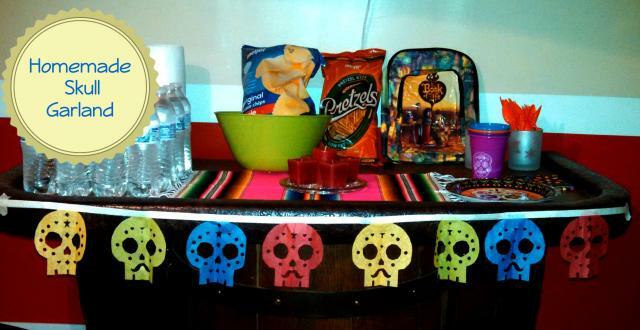 Pick up some super cool skull bead necklaces at party stores or online. 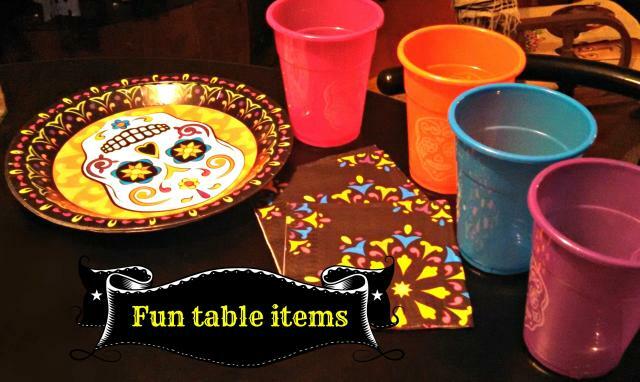 You can even find sugar skull and Mexican themed table wear!